Hong Kong Stanley market was one of my favorite places to go when I lived in the city. I always loved to hop on the bus after a long work week (Back then, I worked 7 days a week) and got off at the bus terminal and walked around. Make sure to get on the upper deck to have a better view. The richest man in Hong Kong whom also owns the Panama Canal, Lee Ka Shing, lives around the area. In fact, he is also one of the richest men in the world. On the way in, you will see a lot of beaches and luxury housings. Many Hong Kong movie stars also live here as well. What Do You See On The Way Over? If you happen to be in this area during the Mid-Autumn Festival, the view is breath-taking. I was there one year for the festival when I was a kid. That view was so gorgeous that I will never forget it for the rest of my life. On the way towards the Hong Kong Stanley Market, you will pass by several beaches, such as the Repulse Bay and the Deep Water beaches. The bus will stop in front of the former Repulse Bay hotel (coming soon - link to HK Former Repulse Bay Hotel page). It is almost like a must for that stop. 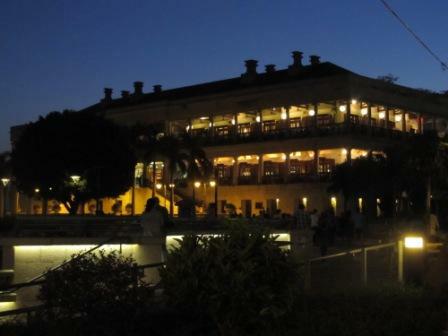 It is one of the Hong Kong historic buildings. It is so well preserved. If you are interested, you can get off the bus and check it out. It is more like a strip mall nowadays. In the past, a lot of movies took the shoot at this place. But be aware that you need to get on a bus or other transportation mean if you still want to go to the Hong Kong Stanley Market. It is not within walking distance. Even if it were, the road is too narrow for anybody to walk along. Your safety is the first priority. If you stay in the bus, you must get off at the bus terminal. The market is between the bus terminal and the beach. You can do either way. Shop at the market first, then head over to the Stanley Plaza. Or reverse the order. While you are there, may as well to do the one stone kills 2 birds, 3 or 4 of them all together. There are many stores and stalls selling Chinese artwork and clothing. This Hong Kong market is geared for the foreign tourists. Products are very similar from store to store. But the prices could be very different. So, take your time to check out most of the stores before buying. If you like Chinese stamps or seal stones, you can order one personalized for you in one of the stores. It only takes a couple hours to finish making it. While you are in the same street, step into some of the clothing stores. They sell outlet clothings with the well-known brands. If you are lucky enough, you will find a lot of great steals. The price could be as low as HKD20 a piece. Where can you find the price like this, huh? It became my family's new love for Hong Kong fashion shopping. 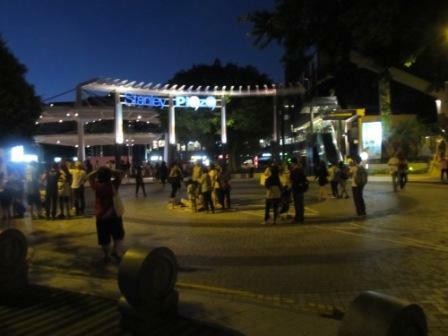 When we were there that night, there was a local band performing outside the Stanley Plaza. It is very spacious that allows a lot of people gather together to appreciate the performance. Over the opposite end of the market, it is the Stanley Plaza which is right across the Murray House (coming soon - link to Hong Kong Murray House page) which is another Hong Kong historical monuments. The building itself is beautiful, especially at night. On the ground floor of that building, it is where the Hong Kong Maritime Museum located (coming soon HK Maritime Museum page). Back in the early 2000s, I still could see the labeling of each block on the building. This building was dismantled and moved over here from Central. In Oct 2012, I was there again. I couldn't see them. I was not sure if it was too dark or they were washed away. In the past, if you wanted to get on the beach, you just needed to walk off the road and ,maybe, climbed over the fence. Well, not anymore. The cement barrier made it impossible to do such kind of stunt, except walking towards either end in order to get on the beach. To get to either end, it takes at least 5-10 minutes which depends how crowded the traffic is. This is the part that I miss the most. 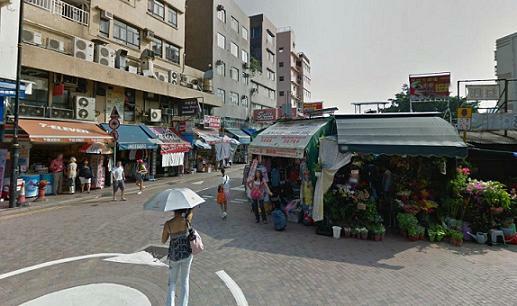 Walking from the Hong Kong Stanley Market towards the Murray House, you may pass by at least 10-15 restaurants. 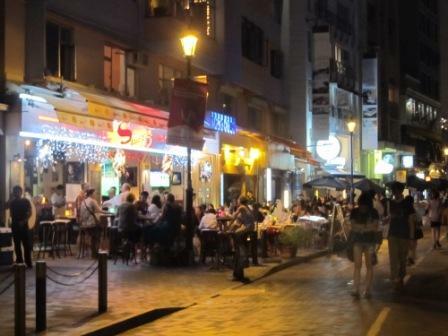 Many western restaurants and mini-bars opened along the street between the Murray House(coming soon - link to the Murray House page) and the Hong Kong Stanley Market. Of course, there are different varieties of cuisine for you to pick. themselves. It feels very peaceful even during the day. What do you think of the Murray House? Isn't it gorgeous? It faces the beach. Can you imagine how romantic it is? I always loved the Hot and Spicy House, which served great Thai food. However, the branch in the Murray House closed. Fortunately, they still have other branches in the city. 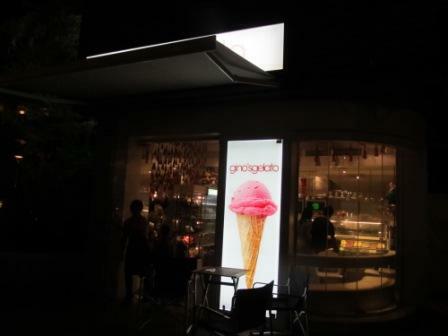 While we were there, we went to Gino Glato to have ice-cream after a MacDonald's meal. 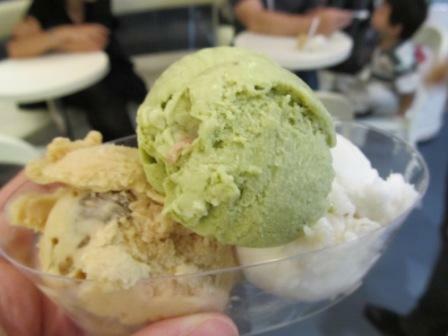 They do serve great ice-cream, especially those with fruit flavors, such as lychee-ginger-lime, long an-green tea, caramel-dark chocolate brownie and lemon- raspberry sorbet. I know, I know...some of these flavors may sound different to you. Hey! That's why you got to travel Hong Kong. You will never know what great things are out there for you. destination because of so many bus stops. If you are not in a hurry, that is a great way to look around the city. Hours: Just like any stores in Hong Kong, they don't open until 11am.